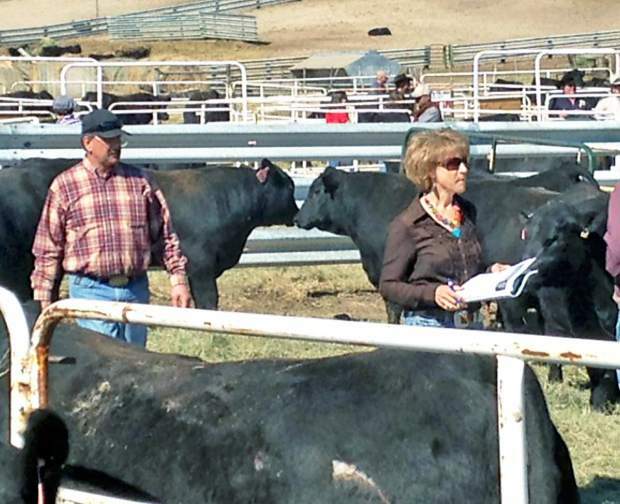 Steve and Dixie Roth of George Ochsner and Sons Hereford and Angus, Torrington, Wyoming, evaluate the bulls at the Connealy Angus sale on March 28, 2015. Location: At the ranch, Whitman, Neb. 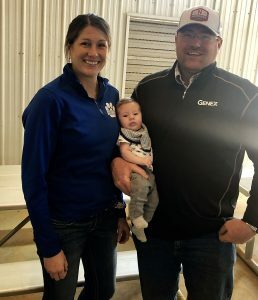 On a very pleasant spring day Connealy Angus held their 46th annual bull sale at the ranch south of Whitman, Nebraska. 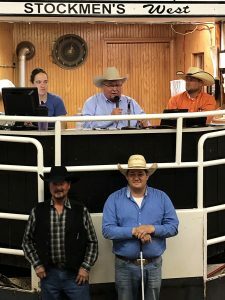 Connealy Angus owned and operated by the Connealy Family; Donnie, Jerry and Sharon, Hannah, Gabriel, and along with Jed and Kara Connealy and an everlasting crew had a record setting sale. 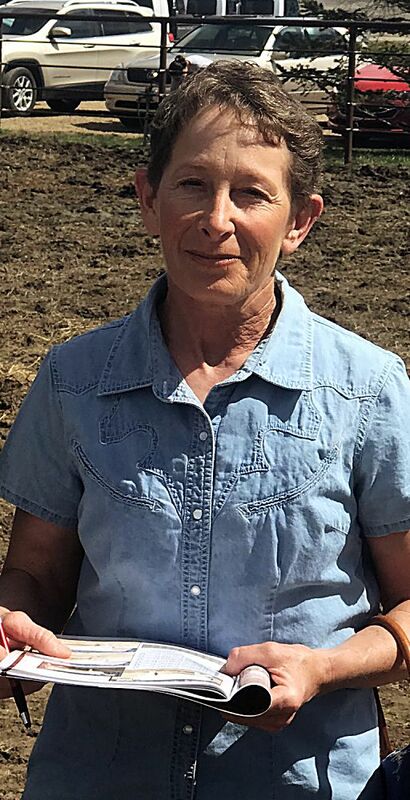 Connealy Angus has become the seedstock source for registered and commercial cattleman alike. Buyers appreciate the large selection of AI sired bulls that are available in volume. Connealy Angus has always been known for the ability to pen all bulls according to sire groups. This allows for buyers to evaluate all bulls with ease and make comparisons for their breeding decoctions. Connealy Angus had a large crowd of mostly repeat buyers and several new buyers as well. 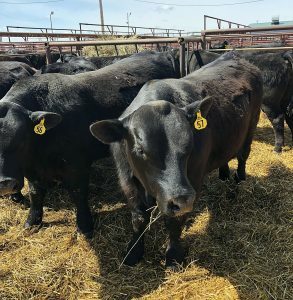 Connealy Angus has one of the best guarantees in the business and you can buy with confidence knowing that they will stand behind their product. Bulls sold from coast to coast and Canada as well. 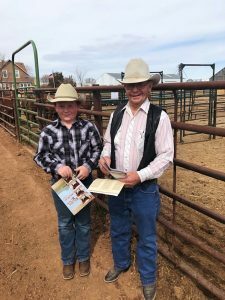 Several top commercial ranches in attendance and several were buying in volume. Bulls sold from $90,000 to $3,500. Lot 273, Connealy Greeley 3314, a Feb. 7, 2014, son of Connealy Grizzly, he sold to Genex Cooperative Inc., Shawano, Wisconsin, and Richard Angus Ranch, Belfield, North Dakota, for $90,000. Lot 125, Connealy Consensus 13X, a Jan. 29, 2014, son of Connealy Consensus, he sold to Genex Cooperative Inc. Shawano, Wisconsin, TC Ranch, Franklin, Nebraska, Joseph Angus Ranch, Winner, South Dakota, Tom Ramm, Valentine, Nebraska, for $70,000. Lot 61, Connealy Fortitude 921S, a Feb. 6, 2014, son of PA Fortitude 2500, he sold to Ferguson Angus, Agra, Kansas, VanDerVeen Farms, Prairie View, Kansas, Midwest Genetics, Long Island, Kansas, for $70,000. Lot 517, Connealy Capitalist 5687, an Aug. 4, 2013, son of Connealy Capitalist 028, he sold to Bill Dugan, Greeley, Nebraska for $65,000. Lot 153, Connealy Calvary 8127, a Feb. 9, 2014, son of Connealy Calvary 1149, he sold to ABS Global Inc., Deforest, Wisconsin, for $62,500. Lot 73, Connealy Full Power 233, a Jan. 22, 2014 son of PA Full Power 1208, he sold to Fifteen Mile Ranch LLC, Bennett, CO for $60,000. Lot 201, Connealy Arsenal 130, a Jan. 27, 2014, son of Connealy Arsenal 2174, he sold to Clear Creek Ranch, Chinook, Montana, for $55,000. Lot 142, Connealy Prophet 2125, a Jan. 12, 2014 son of GAR Prophet, he sold to Alta Genetics, Balzac, AB, Nickeson Prime Beef, Veblen, South Dakota, Martin Gruneick, Minnesota, Schmit Farms, Oakes, North Dakota, Magill Farms, Verona, North Dakota, for $50,000. Lot X, Pick of the Connealy cowherd sold for $80,000 to McKellar Angus, Mount Pleasant, Texas.